Meet the people who make our world go ‘round. Obsessed from an early age, Drew's passion for music and art has always been his compass. It led him to Texas State University where he graduated with honors from the Sound Recording Technology program. 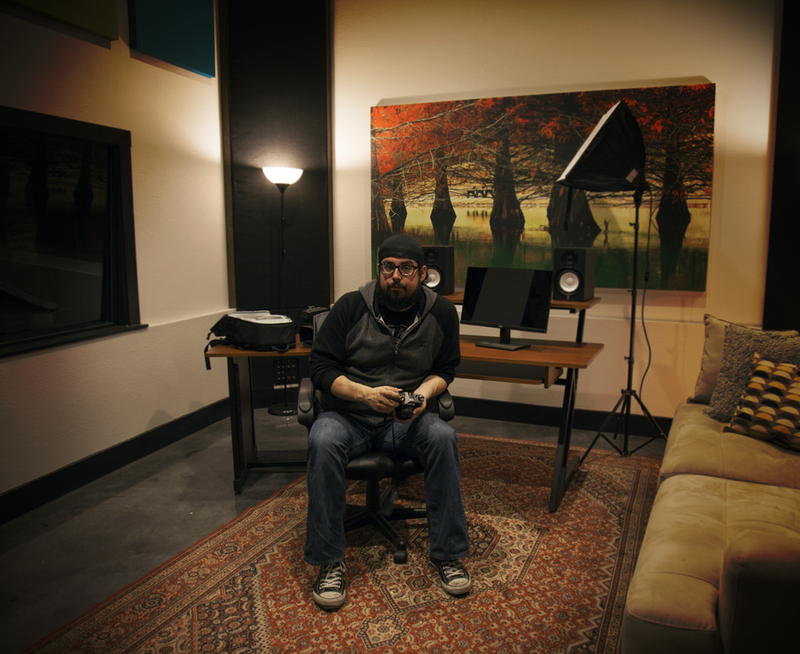 After being awarded his degree, Drew went to work for Rupert Neve Designs, where for over 9 years, he helped bring to market some of the best known pieces of gear in the recording industry. Ready to make the leap from making tools for people making music to actually making music, Drew moved on to become a founder of Gruene Records. His knowledge of music and production are invaluable tools in helping you craft your next project. He has a special passion for guiding artists through the process of taking their creations further and helping them achieve the next level. Sandeigh has been a musician for over 20 years. If you ask her, she'll say there's nothing more powerful than music and that beauty will save the world. She cut her teeth on classic country as a little girl and began to find her voice in the punk bands she fronted and played in as a teen. Touring with bands over the years coupled with a deep involvement in thriving music scenes throughout DFW, Austin, Denton, and Denver have shaped a desire in her to bring artists together. Realizing the need to create a unique space for a community of musicians & artists to flourish in her home of New Braunfels, Sandeigh decided the GR family was the place to see this dream come to life. Once you begin a project at the studio, she'll be your lighthouse. In addition to building two other successful local businesses, she's a founder of Gruene Records and a mimosa connoisseur. Whit is an artist in every sense of the word. She sees beyond what is in front of her to what is possible. With 13 years of commercial design experience, a degree in painting, and a couple of small businesses under her belt, (not to mention the orange belt she earned), she knows how to make you look good. Whit oversees all aspects of brand development/integrity including album art & merchandise. She works with you to bring your ideas to life, from concept to debut. She's also a founding member of Gruene Records and can be likely be found riding her scooter, with her chihuahua in tow, on sunny days. Whether on the big screen or small, Chris knows how to make you look good. He’s spent the last 10 years honing his skills producing and creating all types of media. In addition to being a cinematography pro, he’s an accomplished guitarist of over 20 years, some of which were spent on the road. Luckily for the GR family, Chris decided to join the team when the concept was just beginning to take shape and has helped mold the culture and direction of the studio. He brings current knowledge of the ever-changing media game to table on each project, along with an eye for detail. When he’s not busy driving Drew crazy, he’s hosting his own podcast - Twin Stick Radio and being a personality in the video game industry. These two are arguably the most indispensable members of the GR Family. Whitney & Molly have been with Gruene Records from the onset and handle scheduling to billing...and everything in-between. These two will keep you informed throughout your project, keep your feet on the ground, find your lost keys, bring you ice cream (if you buy them some too), and basically help keep things moving along smoothly. Plus, they have the best hair in town.